Dear Mum and Dad… Agora + 2.0 = ? There is so much I need to tell you, the world has changed. Do you remember 1968 when you were trying to tell the government how wrong they were? 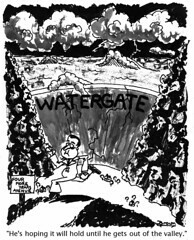 Do you remember Watergate? Do you remember how many times you read the newspaper thinking, this is BS, I wish I could tell the journalist what my thoughts are? Do you remember when you bought that fridge that broke down 2 weeks after we bought it? How many times did you buy a product and think, who ever engineered this should be shot, now? Do you still believe that you deserve your voice to be heard? Should governments, companies, organizations… people engage with you? Would it have made your life simpler? Would you have felt more free? More in tune with how you can live your life? In 2009 all this is real. And more. Dear Mum and Dad, I see in your eyes that I may have lost you. Let me try another approach… let’s play the ranking game. What are your 3 most trusted source of business news? Parents: hmm, ‘The Economist‘, ‘WSJ‘, ‘Business Week‘. Me: Ok, great – I also rely on those sources. Now, if your best friend Bill tells you about a very good investment with a company going for an IPO. Would you trust him? hmm, yes sure – it depends… but now would you trust Bill (deemed reliable) or WSJ? …. aH! Now I sense some understanding. Did you just hesitate? content quality & associated beliefs => anyone can now create content that you will believe, whether you agree or not. distribution => you needed a truck to deliver the newspaper, you don’t anymore. Your content can travel at the speed of light around the world. I know what’s happening before it appears in the newspaper. discussion with peers => your community is much bigger than you think. You’re not the village fool anymore, the one who sees things others don’t. You have a village now of people just like you and it has no borders. Parent: Have you solved all the problems of the world with your social media, my son? Me: We’re working on it. I have friends now. If you’re a person (personal branding), a company (brand), an organization (purpose), an idea (that works too)… your agora is here. Embrace 2.0 in 2009.
thx airship for his awesome Watergate lego! Thanks for the return follow. 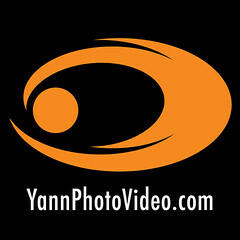 I found you after searching on Syndicom. Love the Village fool picture! Nice stories. Interesting business you’re in – making sense to data is what most networks need including Syndicom. Traditional marketing tends to put consumers or customer is big buckets and shoot in the dark… social media is about conversation and semantic web. The social graph has always been influencing our buying and thought patterns, the web is just magnifying this. 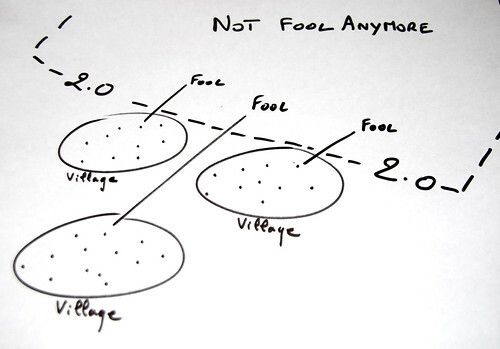 The Village fool picture has global scale, large numbers. We’re all aspiring to make good connection and make sense of conversation, data in your field. Should you have blog on your site? Actually, I am working on setting up a personal/professional blog, but I’m trying figure out the right mix of personal/theoretical and professional, but maybe that’s a false dichotomy, a false perception of the need to segregate. We are having some branding conversations at Kestral, and then we’ll get the blog set up to highlight those memes, stay on meme, so to speak. What is your goal? drive traffic to your own blog or to your company blog? if it is ultimately to company website, your blog should inside your website, not outside. Mixing topics is always a good thing, be relevant and interesting is the key to success in Social Media.